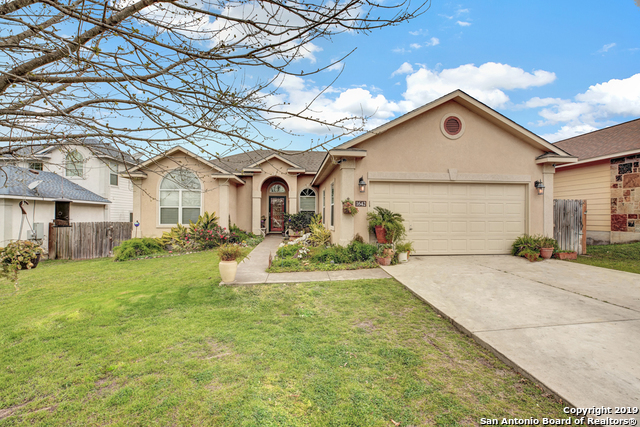 All SUNGATE homes currently listed for sale in San Antonio as of 04/22/2019 are shown below. You can change the search criteria at any time by pressing the 'Change Search' button below. "NO HOA! SELLER IS OFFERING $3,000 FOR BUYER CLOSING COST. This 3/2.5 with an office, is a dream home for your family; from the over-sized pantry, large laundry room, to all the intricate finishing touches. This home offers a large kitchen, living, and dinning area with its spacious open floor plan. There is a ton of storage throughout the house to keep you organized. Spacious master bedroom with a large walk-in closet and an extra hidden closest. Enjoy the added space of the upstairs game room"
"Be the first owner of this Great New House. Open floor plan, 10' ceilings in Kitchen Dining and Living Room, Granite Counter tops, and Sprinkler System. No through Traffic... located on a cul de sac. Convenient to IH 35." "Beautifully renovated and shows like a model home. 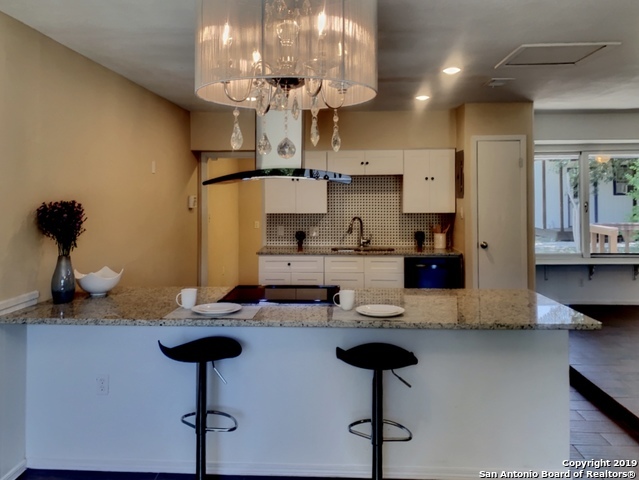 Completed in 2019: All new stainless appliances, kitchen granite counters, carpet, tile back splash, faucets, painted kitchen cabinets and more! Two bedrooms and baths on first floor. One bedroom and bath up with a second separate living area. High ceilings, open concept. Shines like a new penny." "Well maintained 3 bedroom, 2 bath home is move-in ready: covered back patio and deck, stucco exterior, NEW exterior paint, ceramic tile in living room/kitchen, stainless steel appliances, granite countertops, separate pantry, kitchen center island, newer AC, double sinks in master bath, walk-in master shower, covered porch, covered deck, spacious backyard and more! Sale INCLUDES BBQ pit, Kitchen Fridge, liv rm entertainment center AND backyard patio furniture! Close to schools, shopping and more"
"Gorgeous home in immaculate condition! The entry welcomes you to a wonderful living room with a tray ceiling open to the kitchen and dining with fabulous views of the back yard. The master suite also features a tray ceiling and spacious bath with separate tiled shower and garden tub. This home boasts crown molding, paneled walls, modern farmhouse style lighting, and amazing outdoor living." "Adorable 3/2 home in popular Sungate Neighborhood. Features include arched interior accents, open floorplan, separate dining room, SS kitchen appliances, breakfast bar, wood laminate & tile flooring, neutral interior paint, cozy desk nook, covered front porch and back patio, dog run and more! Close to schools, shopping and restaurants." 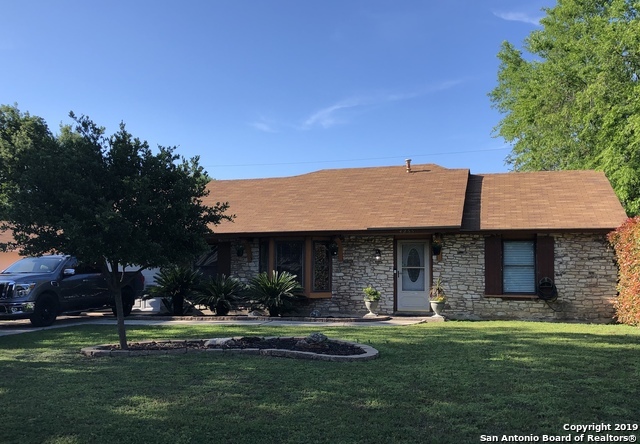 "Very charming home located in the Sungate community in New Braunfels, this 4 bedroom 2 bath home features an open floor plan, with a large kitchen and dining area, Master bedroom and en suite with a garden tub, separate shower, and walk in closet. 2 additional bedrooms, and bathroom. Good size backyard with added deck. Conveniently located to schools, entertainment, and centrally located to Austin and San Antonio. Sungate community has no HOA." "Spacious & stunning home features a kitchen w/ upgraded cabinets (lazy susan & sheet pan cab) abundance of counter space w/ granite counter tops, island, upgraded appliances REFRIGERATOR INCLUDED, enormous pantry, large breakfast nook & formal dining. Indoor laundry room a plus. Gorgeous wood floors throughout the majority of this home. The backyard has a fabulous 400 sq ft detached covered patio/gazebo that has electrical run to it. 3 bd/2 ba/1 car gar 1740 sq ft. Don't delay schedule your show"
"Foundation leveled with transferable warranty. All horizontal sewer lines underneath house replaced with PVC, Engineering reports available for foundation and plumbing. New HVAC and Roof (2019). Windows all new, Kitchen cabinets new with granite counter tops, new laminate floors, bathrooms remodeled, new doors, paint trim and more. Stylish house with a floor plan to maximize usefulness." "Just remodeled home in a great location near Wurzbach parkway and 410. Cute home with a separate dwelling on back with AC. Great level backyard. 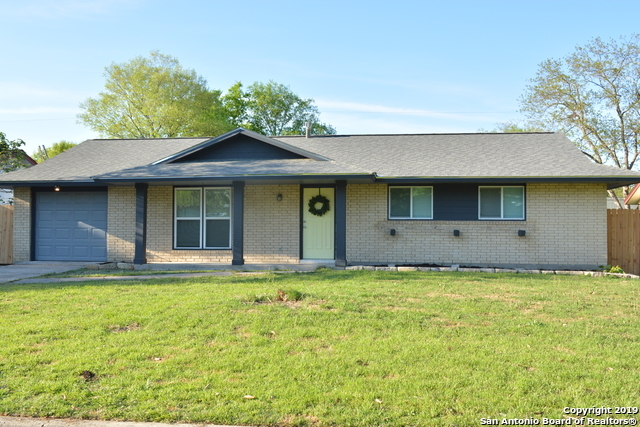 House has new flooring, new kitchen cabinets, countertops, new appliances, light fixtures, bathrooms have been remodeled as well, fresh paint and texture, so much to see. Come look at it before is gone! Great schools!"